Wauwwwww......pretty!! happy Mother's day !! Have a wonderful Mothers Day!! happy mohthers day too my dear!! 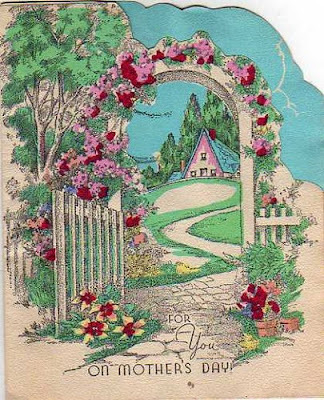 I love this vintage card, Renee ... and I especially love the scripture you have placed with it. "As a mother comforts her child" .... speaks of such tenderness. How amazing that the Lord is so tender with us. Hope your Mother's Day was overflowing with love.